Community leaders are calling for help to move residents. Residents who live at the complex at Barbour and Garden streets on Hartford’s northeast end say their complex is “unsafe, horrific, traumatizing.” They say it’s been going on for years but federal officials have turned a blind eye to their problems until recently. 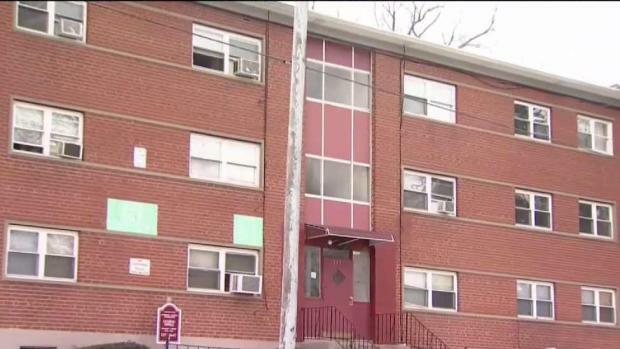 Residents of Barbour Gardens, a federally subsidized housing complex in Hartford, have been living in what federal officials call decrepit conditions and now HUD is considering ending the contract with the property owner, which comes with a payment of more than $750,000 per year. “My bathroom has been leaking for seven years,” said resident Betty Wadley. Wadley joined dozens of her neighbors on stage Thursday, to speak out about her living conditions. 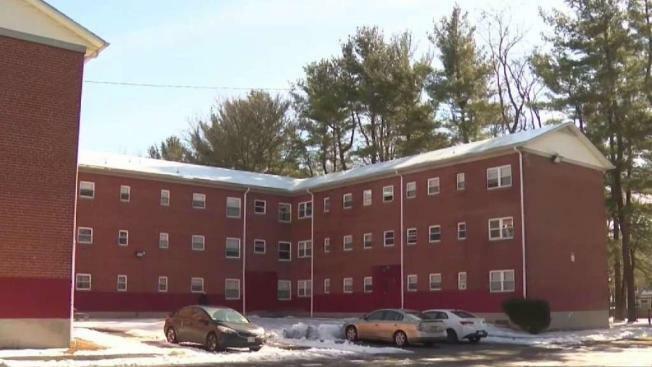 Residents of a federally subsidized apartment complex in Hartford are fed up with the condition of their apartments, and HUD is promising to relocate them. “People are afraid at Barbour Gardens,” she added. The city of Hartford’s inspections department says it’s been called to the 84-unit complex 44 times in the past three months. Chief among residents’ complaints are mold, rodents, broken doors, and windows. “When we went out… so many problems,” Darlene Childs, Housing Code Enforcement supervisor for the City of Hartford recalls. Childs said the city was first notified of problems by a tenant a year ago. However, Barbour Gardens is section eight housing, which means it falls under the purview of the Department of Housing and Urban Development. To pass, a property needs a score of 60 out of 100. HUD’s recent inspection gave these buildings a nine. “I don’t understand why HUD would allow something like this to continue on,” Childs wondered. A HUD spokesperson said that in February of 2018 the property passed with a score of 81, keeping it off the federal government’s radar. Rhonda Siciliano, a public affairs officer for the New England Region told NBC Connecticut that the building couldn’t have fallen into such disrepair in just one year and said it is clear the inspection process is flawed. She pointed out that HUD secretary Ben Carson has called for a complete overhaul of the inspections process, which has been in place for two decades. Childs blamed out of state property owners who ignore code enforcement violations for letting buildings go into disrepair. U.S. Senators Chris Murphy and Richard Blumenthal, along with U.S. Representative John Larson wrote a letter to HUD earlier this month addressing their concerns about Barbour Gardens. NBC Connecticut reached out Adar Hartford Realty in Great Neck, New York. They referred us to the local property manager, who declined to comment. HUD has begun taking steps to terminate its contract Adar Hartford Realty, which receives $750,00 in subsidies annually from the federal government for the Barbour Gardens property. HUD will also relocate residents. “If I had a place to go, I would have been packed up and left,” said Tasha Jordan. Jordan has lived at the Barbour Gardens complex for eight years. She said the mold in her apartment is so bad her daughter’s doctors sent notes urging the property manager to relocate her two years ago. Jordan said the letters were ignored. “My daughter’s life is in jeopardy right now and you’re not going to buy this note,” she questioned. She’s not alone. Shaday Gaston, a mother of four, says she wasn’t taken seriously when she complained about asthma and skin conditions her daughter’s developed while living at Barbour Gardens. “It mentally destroyed me and my family,” Gaston said. Relocation could be a long and complex process that Childs believes could take up to two years. Residents may be forced to move jobs, change schools, and face other challenges. “Residents will end up right back in segregated, poverty concentrated neighborhoods, residents will face housing discrimination, suburban communities that are activity resisting affordable housing,” said Rev. AJ Johnson, Christian Activities Council. “Going forward this is where the headache’s about to start,” Jordan added.